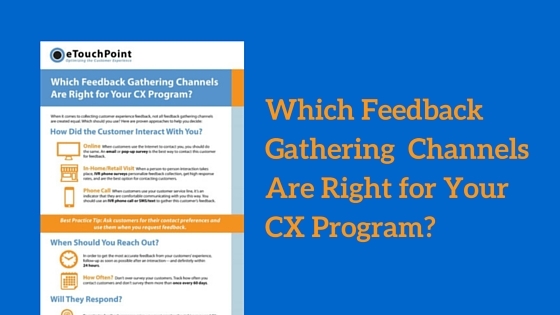 Gathering more customer feedback is crucial to the success of every CX program. Why? When it comes to winning and retaining customers, most brands are beginning recognize that the quality of the experiences they deliver are as important as products or prices. 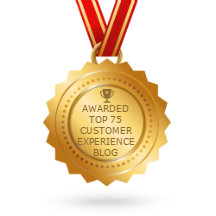 In fact, a study by Walker affirmed that more than 60% of companies expect customer experience (CX) to be the #1 component of their business strategy in 2020. Making more informed business decisions: Customer feedback can help companies understand if their brand messages are effective, if their products have value, and whether they are delivering quality and seamless service experiences. Making changes based on feedback can ensure companies stay relevant to their customer base. 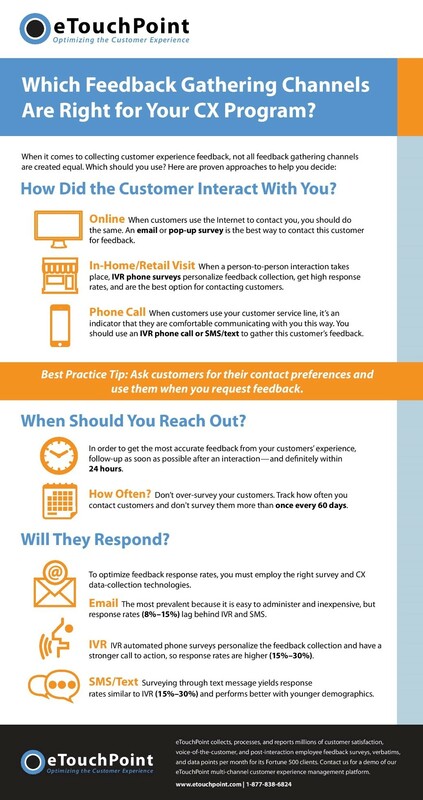 Improving customer perceptions: Asking for feedback lets customers know that companies value their opinions and want to build a relationship with them. This can help foster deeper customer trust and loyalty. Identifying and managing customer dissatisfaction: Gathering customer feedback also lets brands know when customers had a subpar interaction—and empowers them to act quickly to resolve customer complaints. Halting pervasive issues: Surveys can help companies understand feedback themes and find pockets of negative customer sentiment. Using this insight, they can change processes, provide training, or take other proactive steps to reverse unwanted trends. Now that you understand the value of customer feedback, the next question is how to attain more insight. Our infographic highlights a proven approach, along with the response rates that you can expect when you use multiple feedback gathering methods.